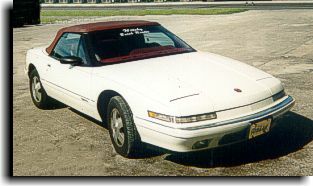 This Buick Reatta received a Robbins top with a factory original headliner from Acme Headliner. 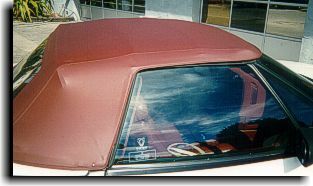 This Camaro had a Electron Top with accessories installed on it. Catalina Custom worked on these two Rolls Royces for the late, world renown antique Rolls Royce collector - Mr. Millard Newman. 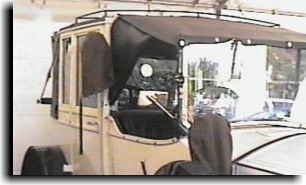 The 1917 Rolls Royce on the bottom right had a tailored fit tan canvas top built for it and the Rolls Royce in the bottom left photo had a leather cover built for the chauffeur area. 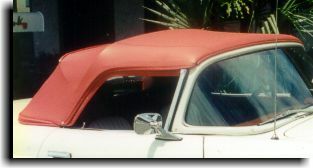 Catalina Custom installed a customer supplied convertible top on this 56 T-Bird "replica" car. 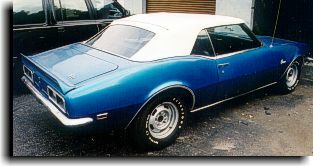 Interesting note: This car was built in 1975 as a 56 T-Bird replica. 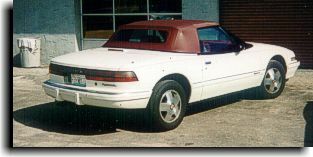 With federal safety standards, the car had to be built with front and rear impact bumpers and running lights. 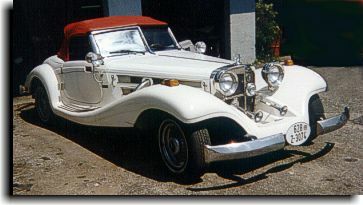 Catalina Custom installed a customer supplied convertible top on this real nice Mercedes kit car.